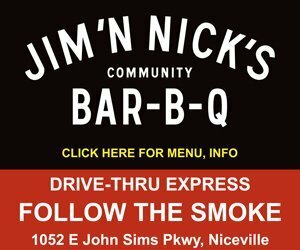 Members of the Niceville Valparaiso Chamber of Commerce came together at Cadycakes to cut a ceremonial red ribbon and celebrate the success of Niceville’s hometown cake and cupcake shop. 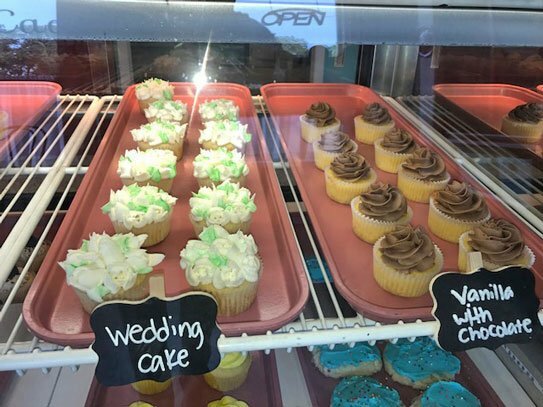 Cadycakes is a family-owned and operated, made from scratch bakery. Located next door to Taco Town at 115 Partin Drive, the popular sweet shop is operated by Julie Howell and her daughter, Cady Ormsbee. They opened Cadycakes last summer. They specialize in cupcakes, scones, cinnamon rolls, cakes and more. Each Friday there is a featured a gluten free item. The hometown mother-daughter team bakes all of the sweet treats each day, creates custom cakes, and greets and serves customers in a bright and friendly atmosphere. See daily offerings, specials and more online at facebook.com/cadycakes. Cadycakes is open Tuesday through Friday, 9 a.m. – 3 p.m. For custom orders please call (850) 389-8712.